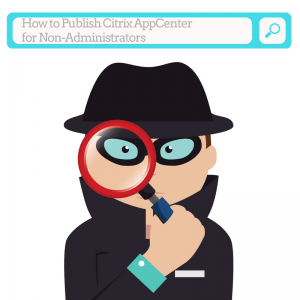 If you’re trying to publish Citrix AppCenter through a non-administrator account, you may find yourself running into a permission issue or a UAC prompt for credentials. Thankfully, there is a relatively quick and simple fix for this problem. Instead of publishing CmiLaunch.exe, you’ll want to use a Command Line and Working Directory designed for the published app. Click here to view them. Skylink Data Centers are run by certified IT professionals and Engineers who are experienced experts in their fields. In fact, Skylink’s CTO, Jacob Ackerman, regularly shares his own discoveries of useful IT solutions on his personal blog so that others can take advantage of his insight into various IT challenges. Our team is qualified to work with both everyday clients and IT professionals to help provide the highest quality colocation and cloud solutions for your business or enterprise. To learn more about our services, give Skylink Data Centers a call at 239-403-2950. We’ll be happy to discuss our scalable, flexible, and highly secure services and how they can help save your company time and money.